This is the complete log of SimplyHelp projects and activities that occurred during the year 2008. SimplyHelp joins forces with Foothill Unity in a large scale Holiday Donation Distribution for 800 families living below the poverty line in LA County. 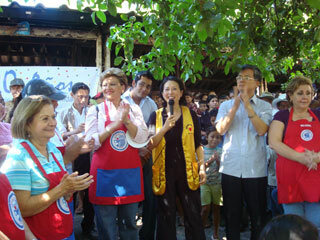 Tina went on a project assessment trip in El Salvador and completed several donation distributions in remote areas of El Salvador together with the former First Lady of El Salvador Dona Elly. Tina and Dona Elly were struck by the pressing need for single mother projects and are in the process of developing Vocational Training Centers for single mothers. SimplyHelp held a press conference regarding its present and future activities in Panama. The conference was attended by the California Ambassador of Panama and other leading representatives of the Panamanian community in the US as well as the ambassador of Taiwan. 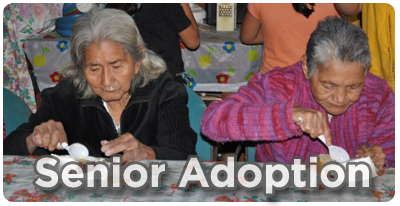 SimplyHelp opened a $200 000 Senior Center for Homeless Seniors in Panama. One container with rice, socks, canned food, wheat germ and vitamins shipped to an orphanage in North Korea. Two containers were shipped to and distributed by Benjamin Weng and the SimplyHelp New Jersey Teen Club to El Salvador and Nicaragua. SimplyHelp Cambodia celebrates the graduation of 95 students from their computer schools and 114 from their sewing schools. Wing Leung attended the graduation ceremonies at both schools. He also distributed one container with supplies to people living in poverty. SimplyHelp representative Wen Chi traveled to Tibet to inspect the QinghaiSchool-a local school that SimplyHelp supports year round. SimplyHelp shipped one container to Honduras for distribution to people in need. tatives visited the HOPAC and SOS orphanages in El Salvador. 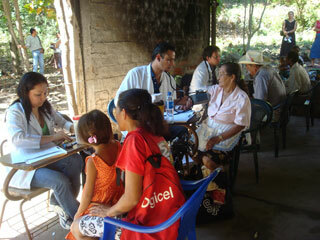 Simplyhelp conducted donation distribution to 200 families in Matagapa, Nicaragua. SimplyHelp donated 130 tents to earthquake victims in China. SimplyHelp partnered with the Comité de Proyección Social for a donation distribution in San Alfonso, Tamanique, El Salvador. At the warehouse, we prepared a shipment to Cambodia. SimplyHelp is coordinating an effort to aid in the relief from the recent earthquake diaster in Sichuan Province, China. SimplyHelp asked our members to assist in raising some money to help out with this situation. The earthquake area is near the home town of our volunteer Tony An. His Father, Mr. An, is also one of our volunteers. He will try to help us coordinate some distributions there and to buy some food or necessary tents for shelter. SimplyHelp attended the 52nd session of the Commission on the Status of Woman. The conference was from Feb. 25th to Mar. 2nd. SimplyHelp hosted the event: “Financing for Gender Equality and the Empowerment of Women, The Experiences of East Asia”. Twenty volunteers from New Jersey, ten from New York and about ten from LA attended. Location: Church Center, 11 FL, Hardin Room (44th Street & First Ave). "Good practice in Cambodia." Tina Bow, SimplyHelp Foundation. 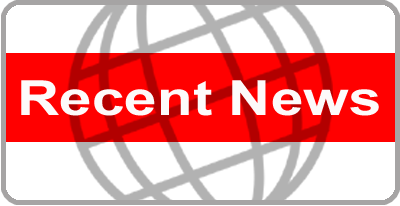 "Good practice in Iran, Taiwan Indonesia and South Africa." 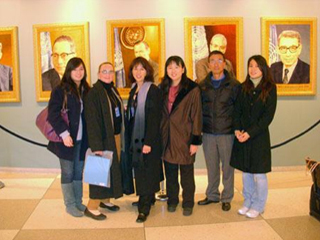 Pauline Chun, Taiwan Buddhist Tzu Chi Foundation, USA. "Good practice in Hong Kong." Alicia Kershaw, The Fund for Women in Asia. "East Asia Economic Integration and the Challenges/Opportunities for Women." Dr. Lee-in Chen Chiu, Chung-hua Institution for Economic Research. Moderator: Weiting Wu, SimplyHelp Foundation. 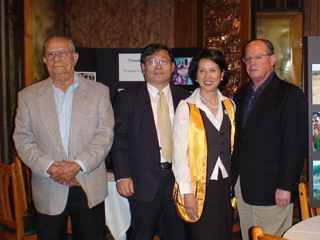 SimplyHelp returned to the Chinese New Year Lantern Festival in the City of Industry, CA and raised another $500.00. Thanks to our volunteers! Construction Report -- SimplyHelp financed the building of 10 homes in Pisco, Peru. SimplyHelp had a great SimplyHelp annual party. Andy gave us great dancing music, volunteers brought lots of pot-luck food and everyone had lots of fun. We reviewed a lot of the projects we did last year. More than 40 volunteers attended. The warehouse was open for donation drop offs in the City of Industry. We sold balloon animals to raise money for charity during the Chinese New Year Lantern Festival in the Puente Hills Mall. We raised about $300.00 by making balloon animals and brought a lot of joy to the children there. Alice Lin taught everyone to make them. Benjamin Weng met Mr. Habab Jarra, Deputy Permanent Representative & Counsellor of Permanent Mission of the Republic of The Gambia to the United Nations on Feb. 1st discussing possible Simplyhelp programs in Gambia this year. We plan to establish a partner relationship with the Jammeh Foundation for Peace in Gambia. Simplyhelp plans to send containers of clothes, shoes, toys, etc. to the Foundation. We also plan to establish vocational training classes in Gambia this year. Benjamin met members of the Pen Club on Feb.5th in New York. A group of their members (10+ doctors in USA) are going to visit Haiti on Feb.9th and they will provide medical services to the needy in Haiti. Simplyhelp donated 200+ toys to children in Haiti through the doctors of the Pen Club. Benjamin Weng went to St. Lucia in December 2007. Through the help of Ambassador Tom Chou and Prime Minister of St. Lucia H.E. Stephen King, Simplyhelp had donated one thousand and two hundred toys to needy children in St. Lucia. An official handing over of these toys took place Dec. 6th at the Prime Minister Residence. The Prime Minister announced the newly formed Saint Lucian Foundation (Headed by Louise King IV it is called the Help Saint Lucia Foundation Inc.) will twin with Simplyhelp Foundation to bring further charity to Saint Lucia.